The legendary King of Monsters back! This legendary monster stands a colossal 15-inch tall and measures an amazing 30-inches in length. This fire-breathing lizard is featured with blue-white dorsal fins, replicating the glow as the monster powers up his radioactive breath. 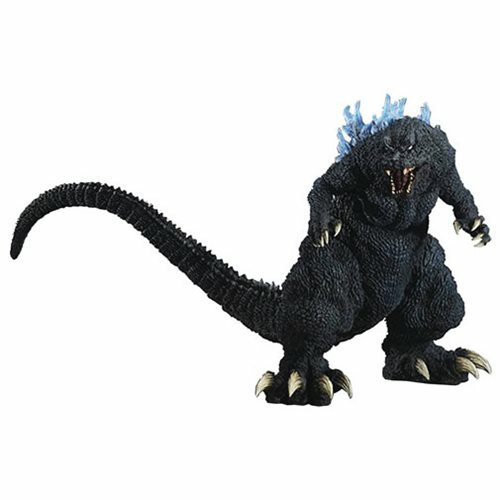 This Godzilla 2001 Blue Dorsal Fin Gigantic Series Vinyl Figure will add some serious size to your collection! Ages 15 and up.